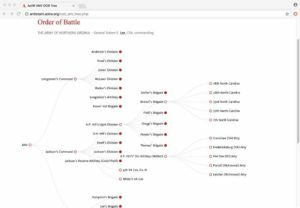 I’ve added a new tool on AotW: an interactive tree diagram display for the Orders of Battle (OOB) of each of the main armies in Maryland. 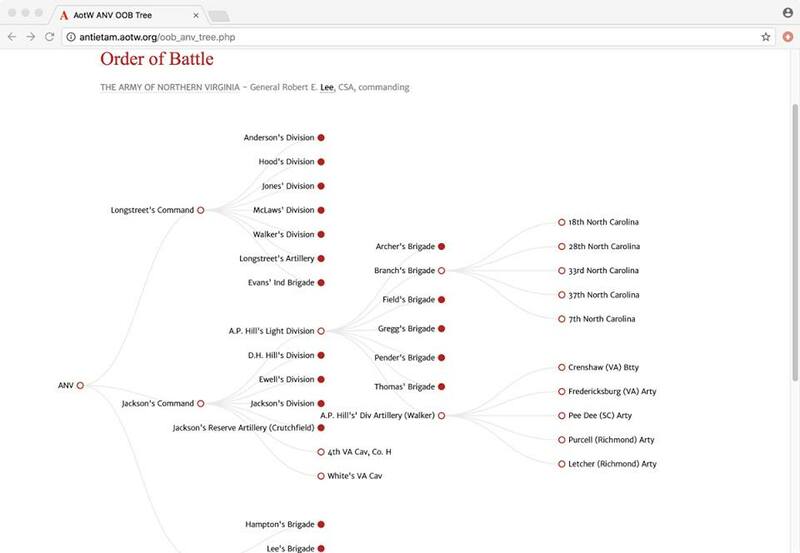 You can click any “node” (dot) on the diagram to drill down further into an Army Corps/Wing, Division, or Brigade at Sharpsburg. Each of the unit names is also a link to a page with more information about it. Give ’em a try and let me know what you think! Start at the main OOB page and look for the tree symbol.